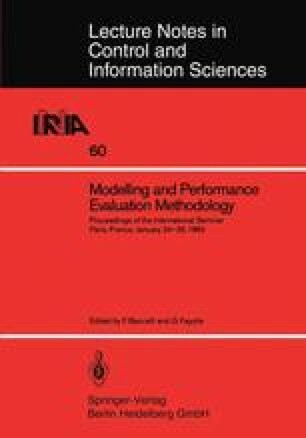 The known analytical solutions for queueing systems arising as models for computer system performance evaluation require either specific distributional assumptions or special service disciplines. Using diffusion approximations, one can obtain both insights into, and approximations for, systems with more general characteristics. The study of diffusions, which are essentially continuous path Markov processes, reduces most questions of interest to the study of certain differential equations. In a manner similar to the way the central limit theorem allows a normal approximation for a sum of random variables, the stochastic processes occurring in queueing systems (e.g. queue length and workload) can be approximated by diffusion processes. In some cases the dynamics of the queueing system leads to a collapse in dimensionality of the state space of the associated diffusion approximation. A rigorous approach to diffusion approximations, via heavy traffic limit theorems, provides the approximating diffusion, along with an indication of conditions under which it will provide a reasonable approximation. In this paper we focus on several examples where the diffusion approximation, after collapse, is one dimensional reflected Brownian motion, which is a much studied process. In particular, we consider: (i) priority queues, (ii) a system where customers join the shortest queue, and (iii) networks with one ‘bottleneck’ station. We show, for these systems, that the associated queue length processes collapse to one dimension in heavy traffic, under the standard normalization for such limits. It is then straightforward to show that the limit process is one dimensional reflected Brownian motion.